Lock in a great price for The Auld Kirk – rated 9 by recent guests! Breakfast was great....welcome cookies ( homemade shortbread biscuits) hit the spot and all the tips about traveling in the area were very welcome. Helen and her helper were great! Unusual bed and breakfast but with lots of nice touches. Breakfast was extremely well done and offered a great European style continental plus a full Scottish menu. Great coffee. Informative host. 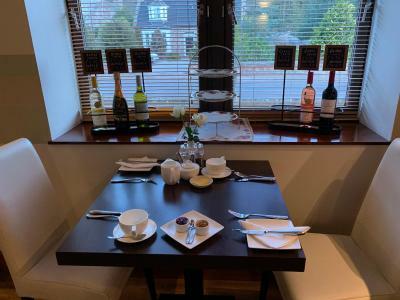 The location is walking distance to pubs and restaurants. Hosts were helpful and friendly. Breakfast was good, and a short walk to town. When we checked in no one was there and it took us a few min to find a person so we called on the phone and the manager came out promptly so all OK! The church, the location, the beds, the tea, the bathroom, the breakfast, the friendly people, it was just great. This is the perfect place to stay on holiday. Clean room, wonderful staff, good beds, perfect location. I don’t know how other to describe our stay here than perfect! Helen is the nicest person, she personally welcomes you! The rooms are big and very, very clean! The Breakfast is huge and freshly made! I recommend her Haggis! We even got a lunch paket. The atmosphere is really cozy and Ballater is a beautiful little town. You can plan your trips from here, Helen could probably help you with everything. Sadly we have other plans, otherwise I would have stayed longer! It wasn’t my last time here! Very friendly, clean , great atmosphere and excellent breakfast. Can't wait to go back. Hellen the owner made us feel really welcome and was great with our dog Ollie. Great hotel, friendly, great food and spotlessly clean. The area where the Hotel is situated was fantastic and Ballater is magnificent! The Auld Kirk This rating is a reflection of how the property compares to the industry standard when it comes to price, facilities and services available. It's based on a self-evaluation by the property. Use this rating to help choose your stay! One of our top picks in Ballater.This former church has been tastefully converted, enabling retention of the original features. 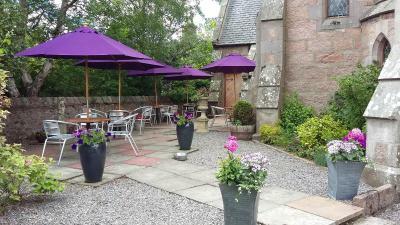 Auld Kirk Hotel is located in the heart of picturesque Royal Deeside. It features free Wi-Fi and free on-site parking. 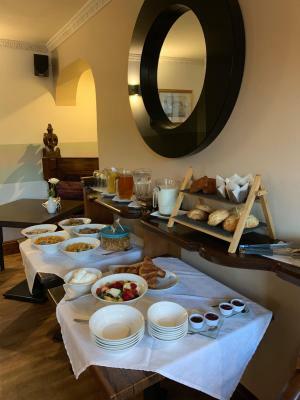 Breakfast is freshly cooked to order and made from local ingredients wherever possible, and Auld Kirk's chef has won numerous awards and accolades. Bedrooms are stylish and contemporary. The range of guest amenities in each room include a refreshment tray, an iron and an ironing boards, a hairdryer, a television and free Wi-Fi. The Royal residence of Balmoral castle is less than 8 miles away and Dufftown, part of the famous whiskey trail, is just over an hour’s drive away. When would you like to stay at The Auld Kirk? Spacious yet cozy. Warm and welcoming, with all modern amenities. Spacious, cozy and comfortable room. This room can accommodate a child in the existing single bed. An additional cot can be provided for a child under 2 years of age. House Rules The Auld Kirk takes special requests – add in the next step! The Auld Kirk accepts these cards and reserves the right to temporarily hold an amount prior to arrival. Please note that the Auld Kirk Hotel does not accept American Express or Diners Club Cards. An additional cot can be provided in the Family Room for GBP 10 per stay. Had a great stay at the Auld Kirk. Room was very comfortable. The hosts and staff couldn’t do enough for us. Breakfast was incredible with plenty of gluten free options. I would highly recommend staying here ! The welcome from the owner, Helen, was wonderful. Also Lisa made us feel very at home and gave us lots of local information over an excellent breakfast. Great location close to centre of Ballater. Walks along River Dee and within Ballater really good. Parking at door. 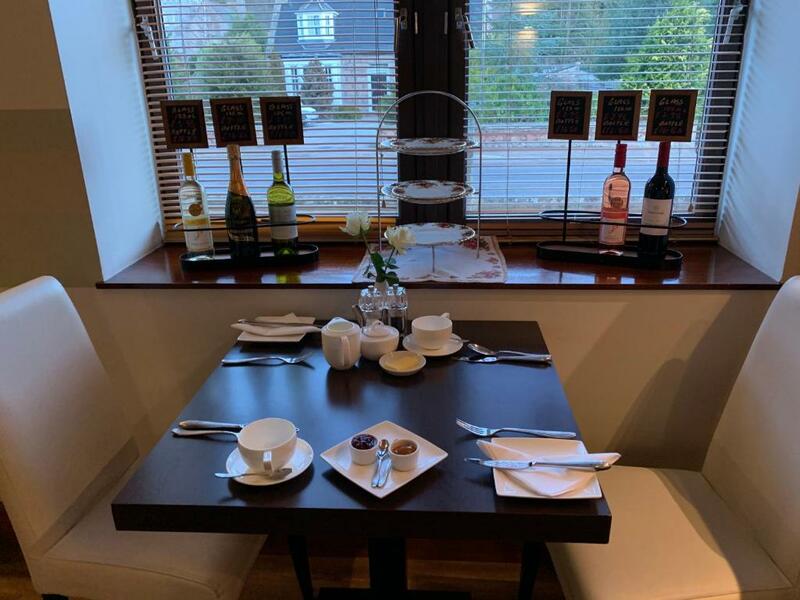 Great food, friendly staff and excellent service. The bar and restaurant at the property was closed. The owner has just sold the b&b and this may change in the coming months. Nice building, friendly staff, good bed, modern bathroom.